GAP started as a small online group, progressing to support meetings and family outings. 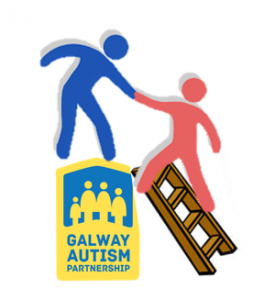 At one of these meetings in 2011, Galway Autism Partnership was officially formed by a group of parents and adults on the autism spectrum and became a registered charity. In autumn 2012, after a generous donation by Ramona Nicolas on the Secret Millionaire, GAP found a home in Tigh Ronain, 36 Laurel Park. Tigh Ronain is the ideal location for our activities, featuring large rooms for play, music, arts & crafts, a large back garden with playground equipment and our ever popular sensory room. The house and garden are secure and safe for children and adults with additional needs. GAP’s office staff are also based at Tigh Ronain. GAP does not provide therapeutic services but aims to try and ‘Bridge the Gap’ in between the needs of our community and existing services. All of our activities are subject to resources – both money and people. GAP’s workload continues to grow constantly – it is very challenging to keep up with demand. At this time, GAP still does not have a guaranteed income and does not receive any State funding. We rely heavily on the generosity of our community and fundraising to keep the doors open. GAP has an entirely voluntary Board of Trustees who support the full time Coordinator and part-time Administrator to carry out the large workload. In addition to our office staff, GAP employs facilitators for clubs and camps. Each GAP club or camp has one paid facilitator supported by a number of volunteers. Some of our clubs are volunteer led, depending on the needs of the clubs participants. In 2017, along with over 4,000 hours of Clubs & Camps, GAP has provided Autism Awareness Talks, arranged Sensory Friendly events, met with Government Minister for Disability Finian McGrath regarding service provision challenges our members face and also engaged with HSE regarding service provision issues. GAP also provided support by peer to peer support, coffee mornings and family days for our members. We would ask you to consider GAP for fundraising projects and if your company runs a Charity of the Year. You can find out more about Fundraising for GAP here. If you need any information about GAP please contact our office at 091-588899 – we would be delighted to help you in any way we can.